i’m noticing more people are starting to take a look at the about section of to take the train. this might be a good time to go ahead and give you a few details about my life. i graduated from the university of georgia in 2003 and moved back to my hometown of nashville to be in the music business. i worked at a record label for 4 years before i jumped ship and went to work for a marketing company that focused on creating online brands for entertainment clients. 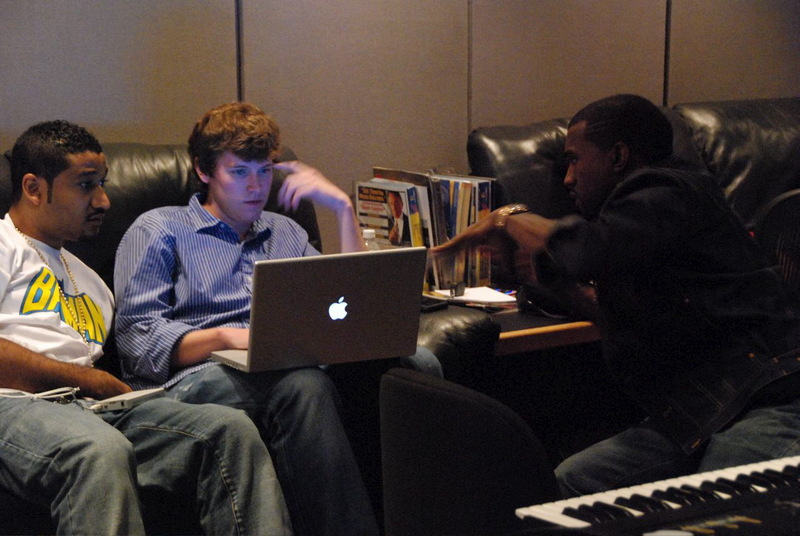 during that time i had the pleasure of working with kanye west for a year of my life. he wanted us to build him a blog and since i didn’t know what a blog was at the time i joined wordpress and started one to see what kind of functionality he needed. i ran my blog for 4 years and built somewhat of a following. as i’ve grown older, my interests have changed so i abandoned that blog and started to take the train. i hope you like it. *ps here’s the only picture i have with kanye. this is from our first meeting. he and his manager, don c, are telling me what they want the website/blog to look like. i was a little apprehensive about sharing this pic but it’s too good not to. dig the new blog. Chet has become a man. diggin’ the blog. nice to see a refreshing male perspective in fashion once awhile. Thanks! I just checked your blog out too. Gonna add it to my reader. Just happened upon your site and I really enjoyed looking around. Keep up the excellent work, sir! Thanks Martin. I just checked yours out. Nice work, my friend! Gonna add it to the google reader too. Coop, say this down at the beach. It’s really kickin’. I’ll stay in touch. Man I don’t even know how I got here. You know those nights where you’re just bullshitting on your laptop and one thread leads to another? And the string keeps pulling you along? Weird. Anyway, cool blog. I dig those New Balance 1600s you posted.